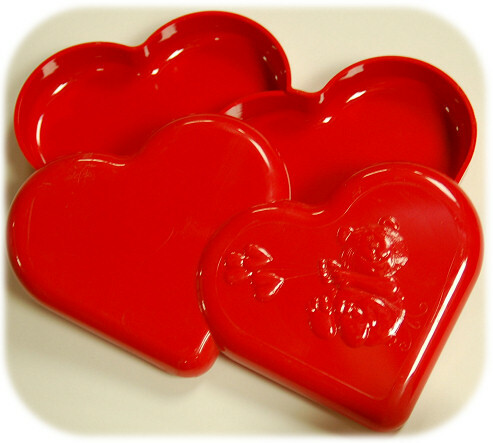 Cute acrylic red container of two hearts fused to make one box with a lid. Inside the hearts are separated so you could put 2 different products inside. On the lid is a smiling bear with 3 hearts.